Many people love to debate whether we should or should not have standardized tests like the WKCE, FCAT, Terranova, AIMS, TAKS, or Regents. The unfortunate reality is that for a long time to come, our schools will be judged based off of test scores. I personally believe in a teaching style that allows me to teach to the student and whatever his/her needs are. If students are to take these standardized tests, then, if I am to accurately meet the child’s needs, I need to make sure that he/she is prepared to do so through proper test prep. Many people are against teaching to the test. Since no one really knows what will be on these tests it is absolutely impossible to teach to it. However, it is our responsibility to teach students the medium in which they will be measured. I like to compare it to cooking and throughout the rest of this article I will be using cooking as a metaphor. I wouldn’t expect a child to cook a meal without understanding how to read a recipe. There are certain skills that are needed in order to do so. In order to do so properly he/she needs to be taught or understand how to read and follow the recipe. 1. Vocabulary – There are certain words in recipes that a reader needs to understand in order to cook effectively. It is important to decipher between T, t, tsp., and tbl. If a cook does not understand these terms, you better believe the results will be different from the intended recipe. The same is true for taking the test. There are words imbedded in tests that are not normally used in speech. For example, “The passage is mostly about.” We do not usually refer to things that we read as a passage, therefore students need to understand the meaning of this word in order to answer the questions with it correctly. 2. 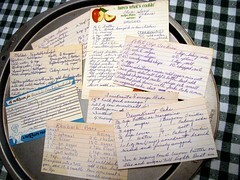 Multiple Choice – In order to make a recipe you need to understand the format of the directions. First there are always ingredients listed and then there are directions in the order that they need to be followed. For multiple choice questions there are always 2 right answers and 2 wrong answers. 3. 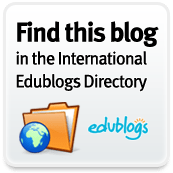 Short Essay – If I have a fantastic recipe, then I need to be able to know how to write a recipe in order for someone else to follow it and make it correctly. Short essay questions are just like this. I need to follow a certain pattern of including the question in my answer and backing it up with three reasons why I believe what I believe. 4. Time limit – When one is cooking there is a time limit. If you cook it too long it will not turn out the way that you want. Time is important. Time is important on standardized tests as well. You only have a certain amount of time, so if you spend too much time on one answer you may not be given the time to answer the questions that you do know the answer to. If you don’t know an answer you can skip it and go on. When you are given your 5 minute or 1 minute warning, then it is time to go back and fill in a guess for the answers that had you stuck. Whether you agree or disagree about the value of testing, the reality is our students need to be prepared to take them. You don’t want to eat the results of someones cooking that didn’t follow the recipe of your favorite dish and you certainly don’t want to judge schools or students who did not know how to take the test in the first place. Below is a blog talk episode where I personally talk about test taking with Adam the former teacher and Neil Haily the host of the Total Education Network.